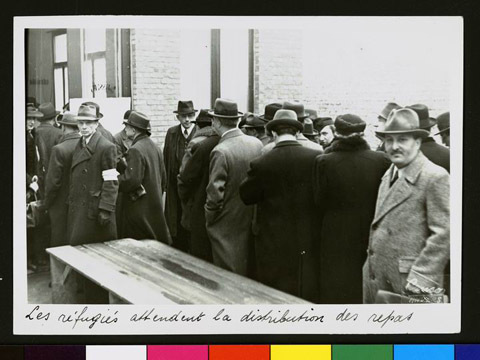 JDC - Archives : A large group of refugees waiting on line for the distribution of meals. Title A large group of refugees waiting on line for the distribution of meals. Description A large group of refugees waiting on line for food distribution. JDC and other institutions worked to provide food and other necessities to refugees living in France. Oftentimes, this was their only means of subsistence.